How smart would it be to preorder Samsung Galaxy SIII? Those who still are living on caves or apple trees should know, the next big thing is already here. Breaking all the past records the ultimates smartest phone on this galaxy has landed. Its not just a fruit, its not a cherry, its the entire Galaxy the third. Samsung Galaxy S3. 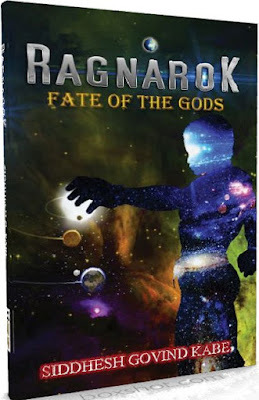 When I say it is here, I do not mean somewhere in the first world country or some distant land far far away where Indians wait in queue for thousands of years, nope, I mean in India. 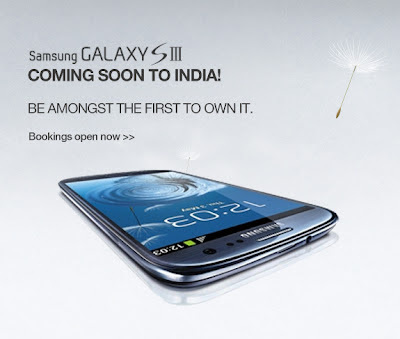 Samsung Galaxy S3 is coming in India. They say early adopters are someone special, you can be one just like me. All it takes is 2000 bucks and a little courage to do something, 7 million others won't be doing. You can prebook the galaxy, right away. Prebook your own Galaxy S3 by paying only 2000 bucks at the new Samsung India Estore and then pay the rest when the phone is launched in India. Simple. The phone lands on your doorstep in 3 days and a million days before others realize there is a phone smarter than them. What is more, Samsung India assures you a free gift with every prebook. Now some thing for the OMFG people, Samsung Galaxy S3 comes packing with loads of stuff like S-Voice, S-Beam, Smart Alert and so on. It has a 8mp camera and a 1.9 mp front camera. Don't wait a single minute and rush in to preorder Samsung Galaxy S3.